If you enjoy entertaining friends and family at home, a well-stocked bar is an absolute must. 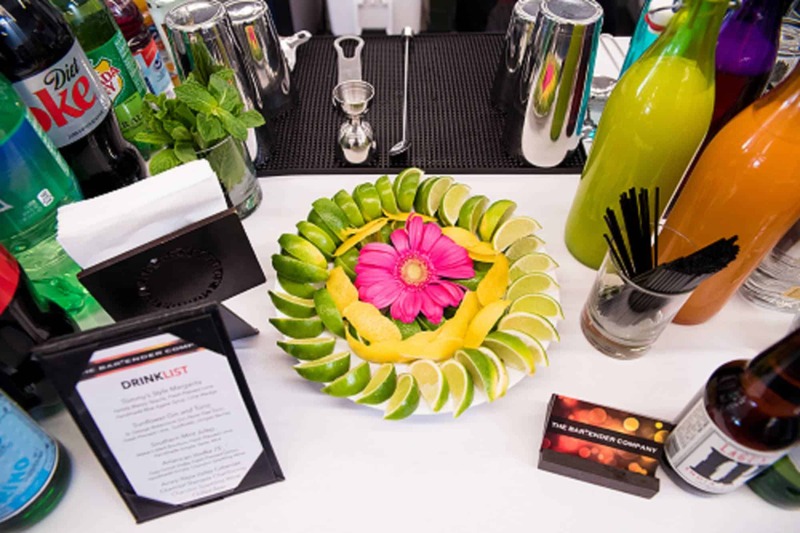 Being able to provide your guests with amazing refreshments sets the stage for fun. There are many options available to those who wish to create a home-based bar experience, and these options can be daunting. Here are some helpful tips on creating the ultimate home bar, with affordable choices and creative ideas. Let’s get started! When setting out to create a home bar and become an amateur mixologist, the inclination is to buy a ton of product in an attempt to recreate your favorite watering hole. This is often a mistake, as it leads to high costs and shelves covered in poorly-aging liqueurs. Instead, think small! You can always enlarge your inventory in the future. One tip for getting a modest start is to purchase the spirits and mixers that you and your guests actually enjoy drinking. That dusty bottle of Pernod isn’t doing anyone any favors just sitting there unused. Choose three or four popular spirits, especially those that lend themselves to multiple cocktail recipes. Typically, a small but well-stocked home bar will have vodka, whiskey, gin, tequila, and rum to start. These alcohols offer incredible versatility, giving you the option of creating flavorful and time-honored cocktails for guests. The same goes for mixers… Select a few popular offerings to get started, such as tonic water and club soda, fresh juices, basic syrups, and soft drinks. A couple of specialized ingredients, like vermouth, bitters, or triple sec, can be purchased in small bottles and used to make delicious cocktail favorites. With just a handful of spirits and mixers, there are literally dozens of simple cocktails you can make an offer. Be sure to have a small selection of beers and wines for guests as well. Two or three craft beer choices, a bottle of chilled white wine, and a handful of popular red wines will help set you apart and ensure that your guests will have access to their favorite beverages. As for drinkware, keep things simple. You’ll obviously want a couple different kinds of cocktail glasses. Add highballs to the inventory, along with a few shot glasses. Stemware and pint glasses are ideal for the wine and beer drinkers you entertain in your new home bar. A good home bar has a wide selection of drink choices, even from just a few choices of spirits and versatile mixers. Now, the trick to really set the stage is to become comfortable preparing favorite cocktails for friends. Invest in a cocktail recipe book as well as some basic measuring and serving equipment like a jigger, a cocktail shaker, a strainer, and a stirring spoon. With recipe book and tools in hand, it’s time to practice. Invite a few trusted friends over for cocktails, and give your new skills a spin. With the feedback your friends provide, you’ll be on the right track to becoming the neighborhood bartender you’ve always imagined. Think about your favorite cocktails. They almost always have something in common: A garnish. Whether that garnish is a rim of flavored salt or sugar, a maraschino cherry, or a lemon wedge, garnishes add that finishing touch to drinks and set them apart from more amateurish offerings. And no, garnishes are not bar snacks. Just as in your modestly-stocked bar, don’t go overboard to start things off. A few lemons and limes, some margarita glass rim salt, and a jar of olives can be pressed into service for many popular cocktail choices. Pick the ones you are most likely to use, and enjoy the appreciation of your well-cared-for guests!